The Aintree Park Challenge Cup is sponsored by Aintree Park Thoroughbreds located in Melbourne, Australia. Aintree Park offers Complete Broodmare Care, Yearling and Spelling Agistment, Complete Foal Care and Food & Nutrition. 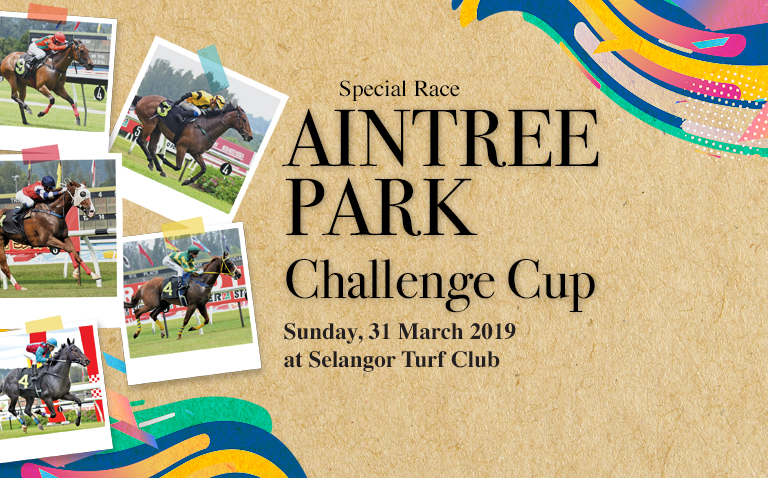 Log on to www.aintreepark.au for more information. The race offers prize money of RM60,000 and run over a distance of 1400 metres.